*Public Swimming at the Swimplex. 1:00-3:00 pm. 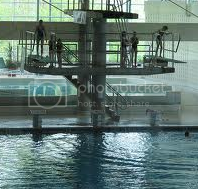 Diving boards and slide open. *City of Waterloo Museum at Conestoga Mall. 9:30 am-4:00 pm. Free admission. Current Exhibition: “ICYC…In Case You’re Curious”. *Public Skate at Waterloo Memorial Recreation Complex, 4:00-4:50 pm. *Family Swim at the Swimplex, 7:05-8:00 pm. *Public Swim at the Swimplex, 8:00-9:30 pm. Get in on the fun! Regular admission rates apply. For more information please visit website.